Business news from Charlotte and the Carolinas. Redevelopment isn't just pushing up housing prices in Charlotte's North End, it's also affecting small businesses that rent space in the corridor. City North Business Center on North Tryon Street is less than a mile from uptown, in an area of old warehouses and factory buildings. Last fall, it sold for $8.8 million to a Texas developer, who plans to bring new services to the neighborhood, including a brewery, shops and offices for creative businesses. Dollar Tree Inc. is closing up to 390 Family Dollar stores this year and rebranding about 200 others under the Dollar Tree name. 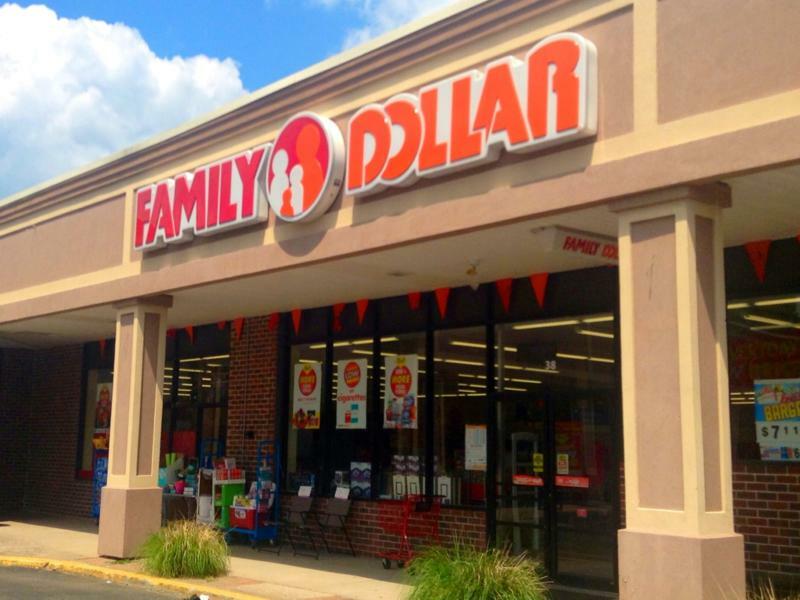 The company also slashed the value of its struggling Family Dollar chain, booking a $2.73 billion charge in its fiscal fourth quarter. That led to a massive loss in the latest fiscal fourth quarter. The Charlotte Regional Business Alliance has named its first CEO. Janet LaBar comes to Charlotte from Portland, Oregon, where she leads that area's regional business recruiting organization. Lowe's swung to a loss in its fourth quarter, weighed down by sizeable one-time charges and a lethargic housing market. Bank of America is simplifying branding for its wealth management and private banking operations by retiring two brands it inherited in the late 2000s: Merrill Lynch and US Trust. But it's keeping the Merrill Lynch bull. Wells Fargo has agreed to a $575 million settlement with 50 states in a lawsuit alleging unfair and deceptive trade practices. The Fortune 500 technology company Cognizant is expanding its Charlotte operations by 300 jobs. Cognizant provides information technology, consulting and business process services, and helps companies offshore business operations. The City of Charlotte and Mecklenburg County were prepared to offer Amazon a total of $270.6 million in the bid for the company’s second headquarters, according to reporting by the Charlotte Observer. A California court approved a $480 million settlement with Wells Fargo and its shareholders related to sham accounts the bank admitted to creating. A judge gave the final approval Tuesday for shareholders who claim they were misled by disclosures Wells Fargo made about the accounts. AvidXchange is expanding its headquarters in Charlotte while adding 1,229 jobs and investing $41 million into Mecklenburg County, North Carolina Gov. Roy Cooper announced Tuesday afternoon. A company that makes home soft drink machines is taking over the long-vacant Michael Waltrip Racing shop off Exit 28 in Cornelius. Lake Norman business recruiters say Sprizzi Drink Company is creating 250 jobs. Online loan marketplace LendingTree is keeping its headquarters in Charlotte, and planning to add 436 jobs over the next five years. Honeywell International will get state incentives of up to $42.5 million over 12 years in exchange for moving its headquarters from New Jersey to Charlotte next year. One of the largest industrial technology companies in the U.S. is moving its global headquarters to Charlotte. Honeywell International announced Friday it will open in temporary offices uptown by mid-2019 while it searches for permanent space in the region. The company has been promised $46 million in tax breaks by the city and county, and could get up to $12 million in state job development grants if it follows through on its pledge to bring 750 jobs in Charlotte by the end of 2024. Australian plastics manufacturer Era Polymer Corporation plans to open its first U.S. industrial facility in Gaston County, creating 20 new jobs in the area and promising to invest $9.2 million in the town of Stanley. Bank of America is tweaking its red-and-blue flag logo for the first time since 1998, and is planning a new star-studded marketing campaign for the holiday season. Hickory-based CommScope is about to more than double in size. The telecommunications equipment company says it's buying cable set-top box maker Arris for $7.4 billion in cash. The deal includes repaying Arris's debt and is being financed in part with $1 billion from investment firm The Carlyle Group.